The Danish bank detailed compliance and control failings amid growing calls for a European Union crackdown on financial crime after a series of money laundering scandals which have attracted the attention of US authorities. Danske Bank's chief executive Thomas Borgen resigned on Wednesday after an investigation revealed payments totaling 200 billion euros ($234 billion) through its small Estonian branch, many of which the bank said were suspicious. The Danish bank detailed compliance and control failings amid growing calls for a European Union crackdown on financial crime after a series of money laundering scandals which have attracted the attention of US authorities. "Even though I was personally cleared from a legal point of view, I hold the ultimate responsibility. There is no doubt that we as an organization have failed in this situation and did not live up to expectations," Borgen, who will stay on until a new CEO is appointed, told a press conference. Borgen, 54, was in charge of Danske Bank's international operations, including Estonia, between 2009 and 2012. While the report shed some light on the bank's activities in Estonia, investors are concerned whether the United States, which has placed sanctions on Russia, will punish it. "As this is the largest money laundering scandal in European history, and Danske Bank is a major bank that sends dollars around the world, I imagine that this will certainly get the attention of the U.S. authorities," Bill Browder, the founder and CEO of Hermitage Capital Management who has campaigned against corruption in Russia, told Reuters. Danish politicians were critical of Danske Bank for not revealing exactly how much money was allegedly laundered and not saying who was legally responsible for the lapses. "It is deeply embarrassing that for so many years there have been transactions that should not have taken place. Much of it is expected to be money laundering, and that is simply not good enough by Danske Bank," business minister Rasmus Jarlov, who oversees Denmark's banking sector, told a press conference. Danske Bank said in its summary of a report covering around 15,000 customers and 9.5 million payments between 2007 and 2015 that Borgen, Chairman Ole Andersen and the board "did not breach their legal obligations". Andersen said the bank had made an assessment of whether it violated U.S. laws but declined to share its conclusion when asked at a press conference. The Estonian non-resident portfolio's around 10,000 customers were registered in 90 different countries, with Russia, Britain, the British Virgin Islands and Finland the main ones, Danske Bank said, adding that around a third of them became clients of the branch in 2007. Danske Bank, whose already battered shares fell by nearly 8 percent, said some 6,200 customers had been examined and it expected "a significant part of the payments to be suspicious". Shares in Danske Bank had doubled in value from when Borgen took over in 2013 to July 2017, but have since lost more than a third as allegations of suspicious transactions increased and Denmark and Estonia began criminal investigations. The bank said it had taken action including "warnings, dismissals, loss of bonus payments and reporting to the authorities" against current and former staff, as well as overhauling systems found to have failed. In an indication of the costs such lapses can have, Dutch bank ING (INGA.AS) agreed to pay 775 million euros ($900 million) this month after admitting criminals had been able to launder money through its accounts. And earlier this year U.S. authorities accused Latvia's ABLV of covering up money laundering, leading to the bank being denied U.S. dollar funding and its swift collapse. While Danske does not have a banking license in the United States, banning U.S. correspondent banks from dealing with it would amount to shutting it out of the global financial network. The report found that Danske Bank failed to take proper action in 2007 when it was criticized by the Estonian regulator and received information from its Danish counterpart that pointed to "criminal activity in its pure form, including money laundering" estimated at "billions of rubles monthly". And when a whistleblower raised problems at the Estonian branch in early 2014 the allegations were not properly investigated and were not shared with the board, Danske said, adding that measures to get its business there under control had been insufficient. Danske Bank also said the Estonian branch did not employ its anti-money laundering procedures because it had not migrated its Baltic banking activities onto the bank's IT platform as this would have been too expensive. 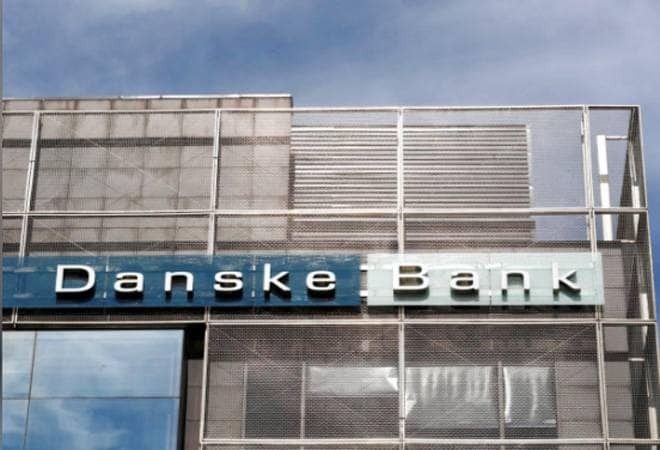 "The report describes serious shortcomings in the organization of Danske Bank, where risk-appetite and risk control were not in balance," the head of Estonia's FSA financial regulator Kilvar Kessler said in a statement. Danske Bank, which cut its forecast for annual net profit to 16-17 billion Danish crowns, from a previous 18-20 billion, has successfully overcome previous traumas. The government had to step in when international markets froze in 2008 and in 2012 it was criticized for an advertising campaign that sought to improve its image, borrowing symbols linked to anti-establishment movement Occupy Wall Street. Prior to the money laundering scandal, Borgen had managed to improve the bank's image and earnings in part by cutting costs, shifting its focus to wealthier clients and expanding in Sweden and Norway to rival the Nordic region's biggest bank, Nordea.